"The program is one of a growing number that aim to strengthen ties between American mothers serving time and their children, whose welfare faces grave risks if those family bonds weaken. The need for initiatives like these, as well as for more legal options and social services for mothers facing criminal charges, has surged, advocates say, in step with the explosive growth of the number of people in lockup -- particularly women. ... 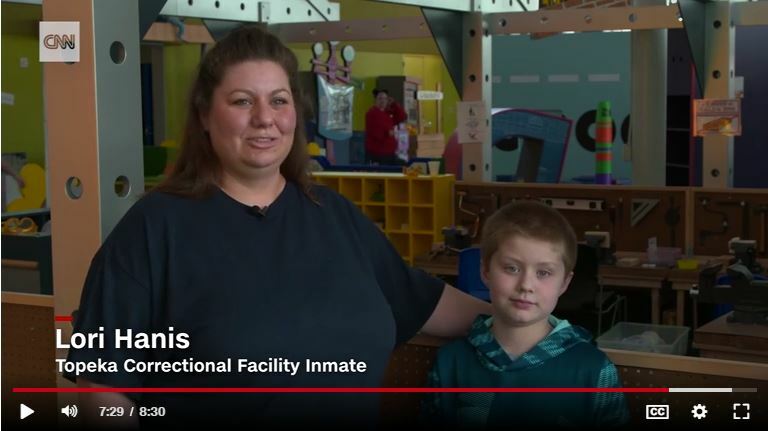 In Kansas, the Children's Discovery Center launched its Play Free initiative in partnership with the Topeka Correctional Facility, the state's only women's prison. It's modeled on the New York City program. Chicago is considering a similar move."